Hi beauties! In today's post I will be talking about my Favorite Makeup Brand. As you've probably guessed right by the title, it's Benefit. I tried their cosmetics for the first time last year when I was in London. When I saw Benefit's counter I was so ecstatic to finally see in person all the products I've been reading so much about (unfortunately they don't sell Benefit in my country). So, I was standing at the counter for such a long time, trying out different products and I can tell you one thing - it really was a love of first sight lol :)). I was so impressed by the high quality of their products and also by the fact that all of their items are kind of different from any other brand I've ever seen. Starting from the amazingly creative and beautiful packagings to the interesting products such as "Benetint" and "High Beam" I just love them all! 1. Bella Bamba - a 3D brightening pink face powder. Gorgeous blush, which stays on all day long. 2. They're Real! Mascara - on of the best mascaras that i've tried so far! 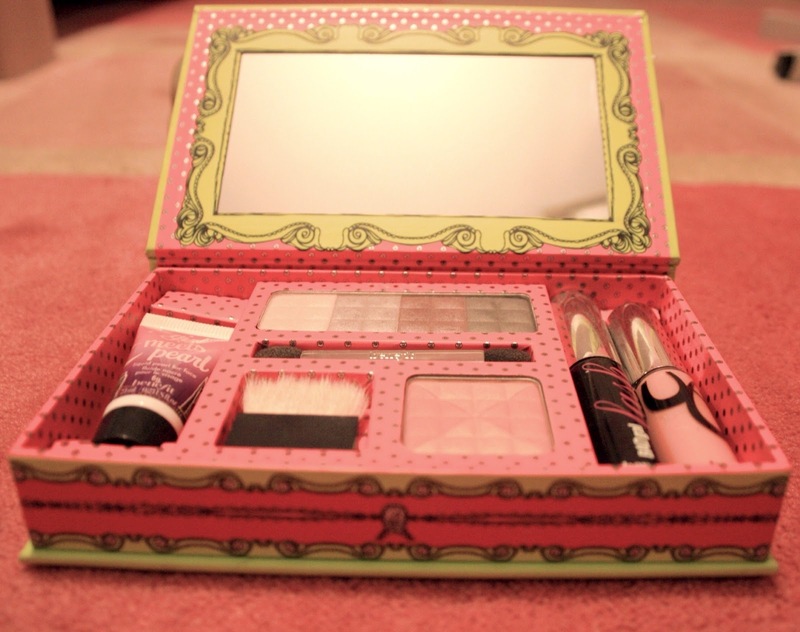 I love Benefit. It is one of my favorite brands as well! They're Real is my absolute favorite mascara by far! I do love Bella Bamba, but Coralista is my absolute favorite blush! Lovely! I love Bella Bamba and that kit looks beautiful :) I've never actually used 'They're Real' despite nosing at it every time i go to a counter. A girl at the counter put it on me once but because i was already wearing mascara i don't think it did the mascara much justice, will definitely have to pick it up though! 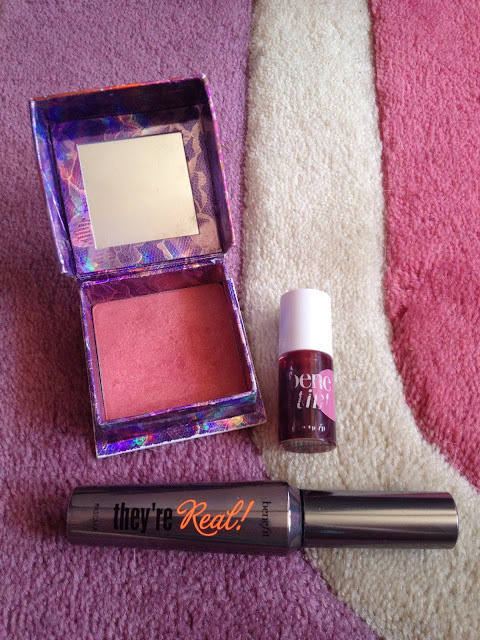 My favourite product is the sugarbomb blush though, love it :)!